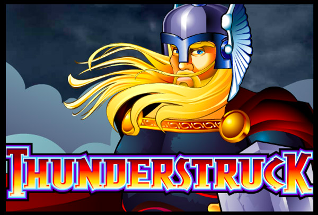 An all-time classic and based on Norse Gods, Thunderstruck is one of the few slots with such a following that it spawned a sequel (Thunderstruck II). The jackpot on the Thunderstruck slot is 10,000 times your bet with you being able to bet from 9p all the way up to £45 on each spin. 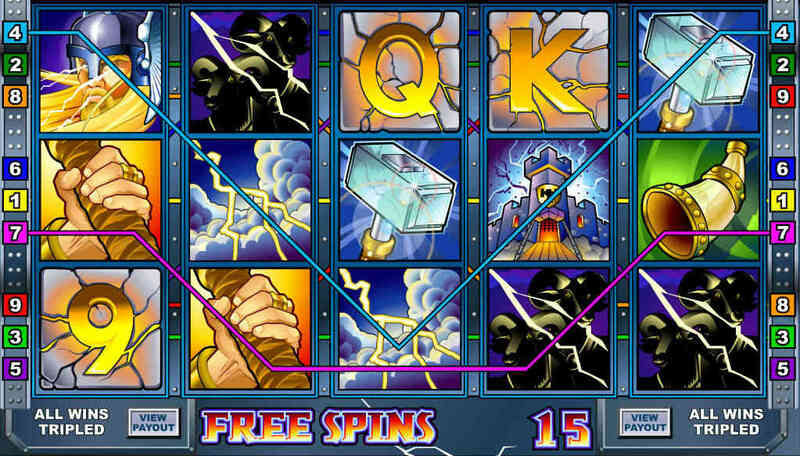 To hit this jackpot, you’ll need to match 5 of the Thor symbols on a pay line. The Thor symbols are also wilds that double your win when substituted for other any other symbols. In terms of bonus rounds, you’ll need to keep an eye out for the Scatter Rams. If you land 2 of these symbols anywhere on the wheel, you’ll get a small win of 2x your stake. 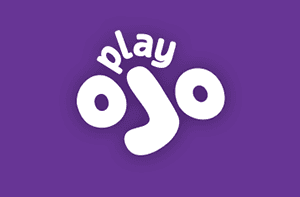 But, if you spin 3 or more into view, you’ll get a payout of up to 500x your stake, and you’ll also activate the bonus round which is 15 free spins with all wins tripled. 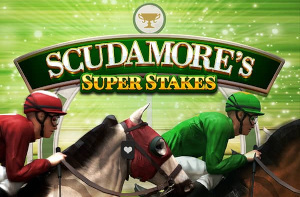 As an additional feature, you can choose to gamble your winnings from any spin. To make your gamble a success you’ll need to correctly predict the colour or suit of a playing card that is initially shown face down. If you predict the colour of the card correctly, you can double your win, or if you pick the correct suit, you can quadruple your win. You’ll also be able to see the colour and suits of 7 previous cards to help influence your decision. Keep in mind though, if you get it wrong, you’ll lose all of your previous win. 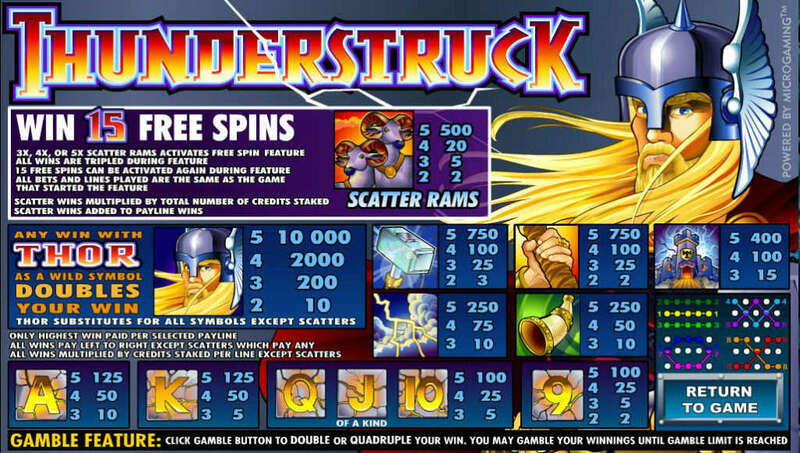 As a more old-school slot, you’ll find the gameplay on Thunderstruck a little more dated than more modern games. 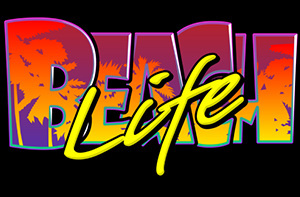 There are no flashy bonus rounds or video clips, and only basic special effects. However, that shouldn’t put you off as it’s a classic game that’s still around for a reason. The scatter rams spin in to view on a fairly regular basis. 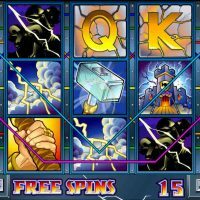 You’ll need three on the screen to trigger the free spins, but you’ll often see a couple landing on the first few reels to build up the excitement waiting for the third. 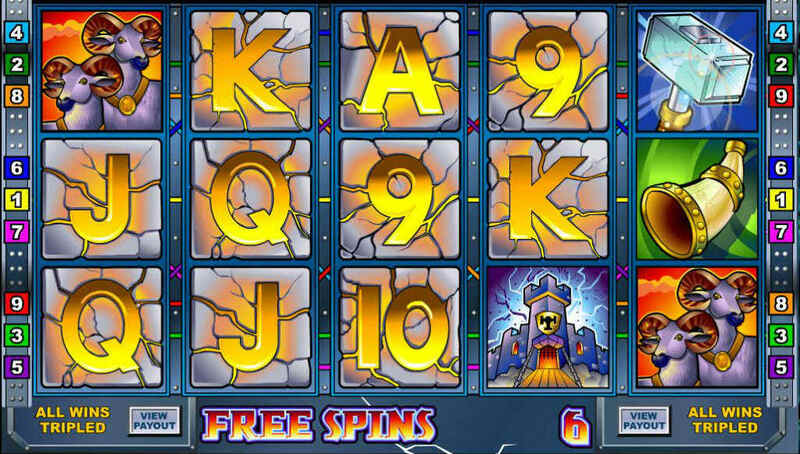 When it does come, the free spins often lead to a decent-sized win as all wins are tripled. The Norse Gods theme is enjoyable, and each of the symbols are easily distinguished from each other, so it’s an easy game to play. The number of paylines is restricted at nine which also helps the playability as you quickly realise when you are about to hit a win. One thing to be aware of is that there is an autoplay option for Thunderstruck, but it’s a little bit hidden. If you want to set a number of autoplay spins, you’ll first need to click the ‘Expert’ button in the bottom left, this will then allow you to select the number of spins to play. You can also set the autoplay to stop if your balance decreases by a certain amount of if a win equals a certain amount. 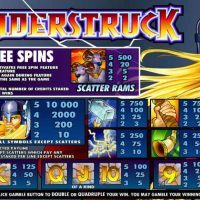 If you’re used to playing more modern games then the dated graphics and lack of elaborate bonuses may mean that Thunderstuck is simply a game that doesn’t work for you. 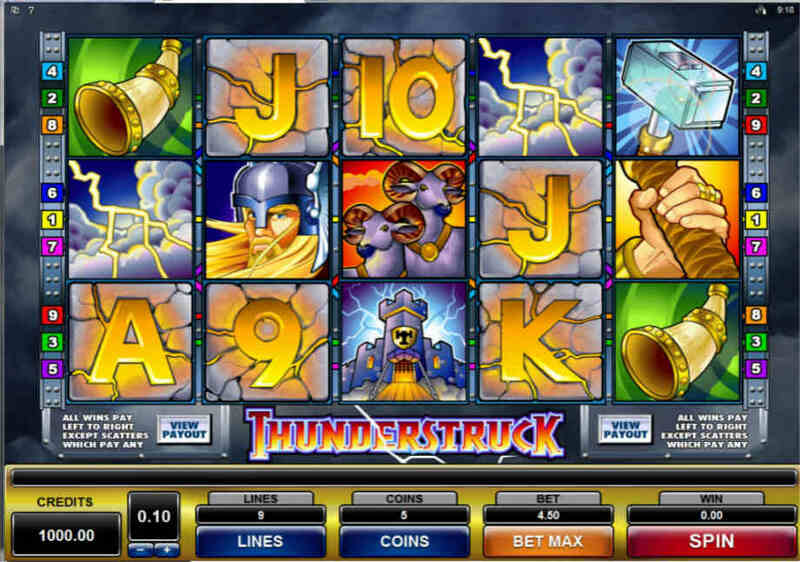 However, if you’re more of a classic slot fan and like the simplicity that retro games offer, Thunderstruck is likely to be a game you’ll return to play again and again. 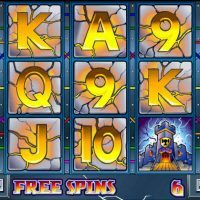 Once you get in to it, the gameplay is actually quite good for such an old game, and so, even fans of more modern slots may be swayed if they give this game a chance to grow on them.